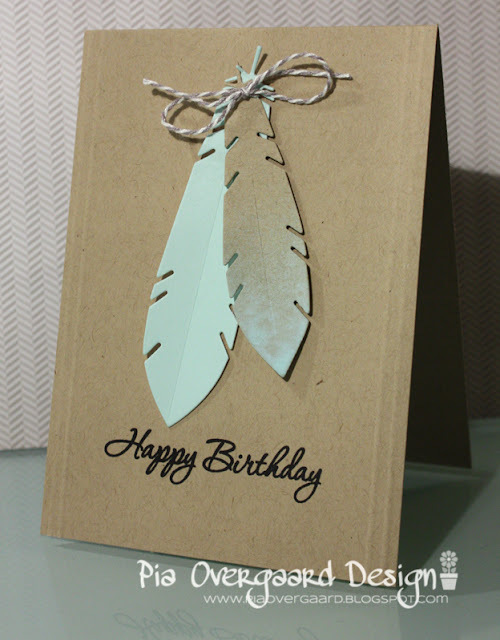 I am really loving feathers at the moment and those MFT dies were just a MUST for me! On this first simple card I die cut the 2 feathers in Hero Arts Layering paper & kraft paper. 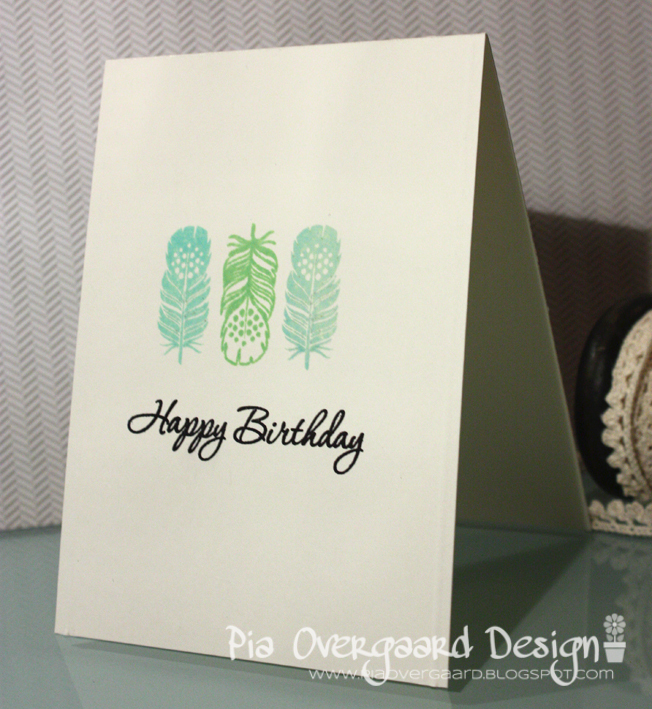 The kraft paper version was spray misted to match the other color. The sentiment is Hero Arts. WPlus9 has a great feathers stamp set - Fanciful Feathers, which I really like. I've been using this set on a few birthday cards lately. Love this simple look of the feathers stamped in shadow inks and a simple black saying. 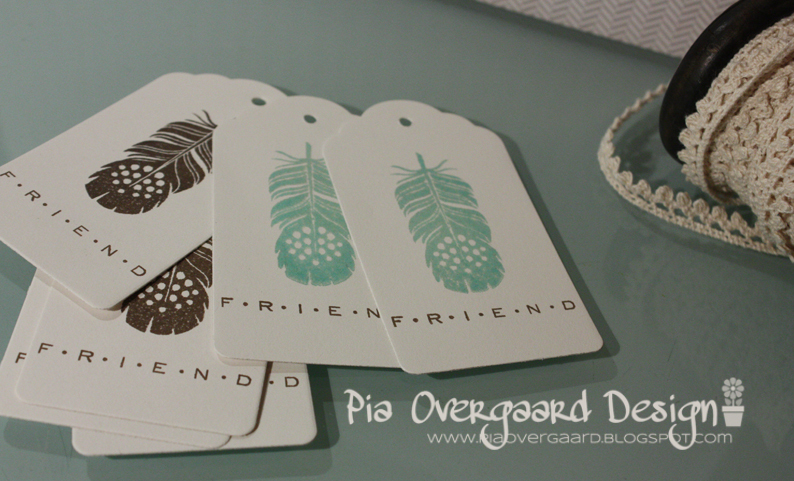 Having the stamps out on my desk, I quickly made a few tags - nice to have on hand for a hostess gift or such.. I used a Hero Arts tag dies to cut out the tags. Thanks for stopping by and I wish you a very happy weekend! HOV der var jo flere fjerkort da jeg klikkede videre og kom herind. SÅ fine og velkommen tilbage til hverdagen. Har lige "overlevet" første uge på jobbet og NYDER nu at have weekend.